Easily transform footage into incredible movies using MAGIX Video easy. The useful wizards and intuitive, touch-optimized user interface design will help you achieve perfect results in no time at all. 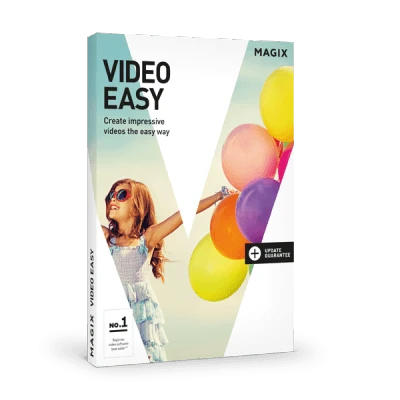 Test MAGIX Video easy for free and use the video editing features to adjust the colors in your video for example. Impressive effects: Dynamic transitions and movie-quality special effects etc. Optimize color and exposure with a click. Export videos to DVD, as files or to YouTube. Make use of the many menu templates to add the finishing touches to your DVD.